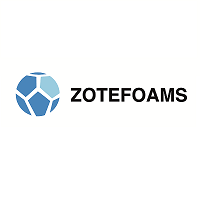 Zotefoams plc (LON: ZTF), a world leader in cellular material technology, today announced its unaudited preliminary results for the twelve months ended 31 December 2018. “We are seeing the benefits of Zotefoams’ strong portfolio of products, backed by unique technology, across multiple sectors and geographies. 2018 was another record year for Zotefoams and I’m delighted with both the performance and opportunities we are creating. The preliminary results presentation for the year ended 31 December 2018 will be made available on the investors section of the Company’s website during the day.